‘When I first met John Waters he was rehearsing Looking through a glass onion with Stewart D’Arrietta, my girlfriend’s father, in his lounge room. They were making a lot of noise, laughing and playing Norwegian wood . It was great to meet the man I had watched on Play school , now far removed from Big Ted,’ says Julian Meagher. Waters is an English-born actor who has lived in Australia since 1968. He is also an accomplished musician, and since 1992 has toured many times with Looking through a glass onion . Co-created with D’Arrietta, the production is a tribute to John Lennon’s life through music. With permission from Yoko Ono, they are taking the show to New York this October. Born in Sydney in 1978, Meagher left work as a medical doctor nine years ago to paint full-time. He studied the atelier method in Florence. 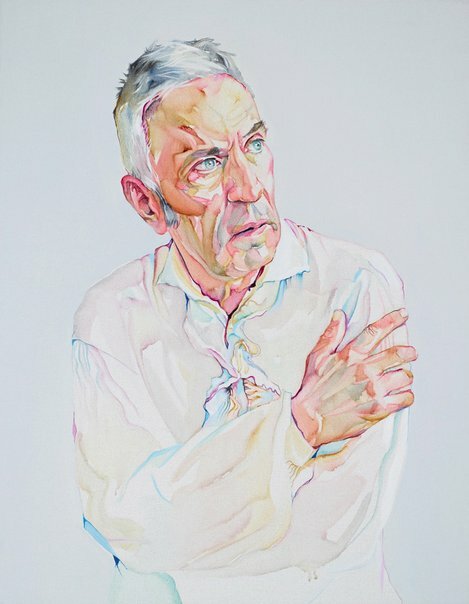 He has been selected for the Salon des Refusés in Sydney five times, the Doug Moran National Portrait Prize twice, the Metro Art Prize and the Blake Prize for religious art.